Vanguard Managing Director Tom Beecher joins us on this edition of the podcast. Tom tells the story of a successful handgun hunt for antelope, then has details of a grueling elk hunt. 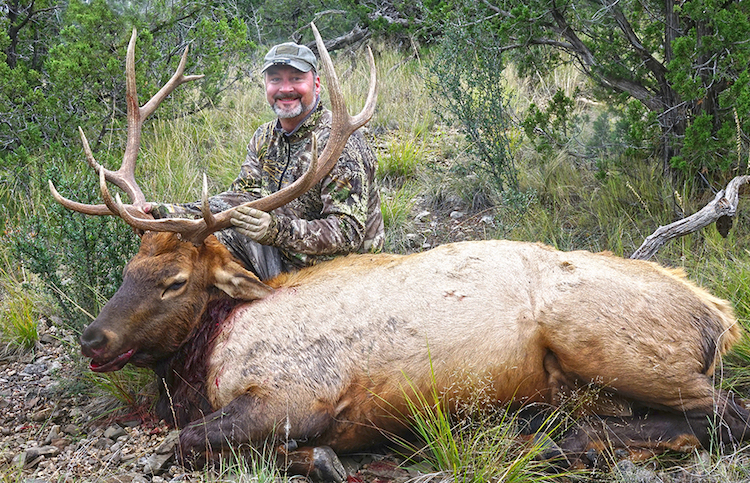 Tom had two close encounters with nice bulls, and thought his hunt might be over, but then scored on this beautiful New Mexico bull with his muzzleloader.